ACME baseball sometimes is treated as next season’s spring training. Coaches are looking for improvements and people who are going to step up. 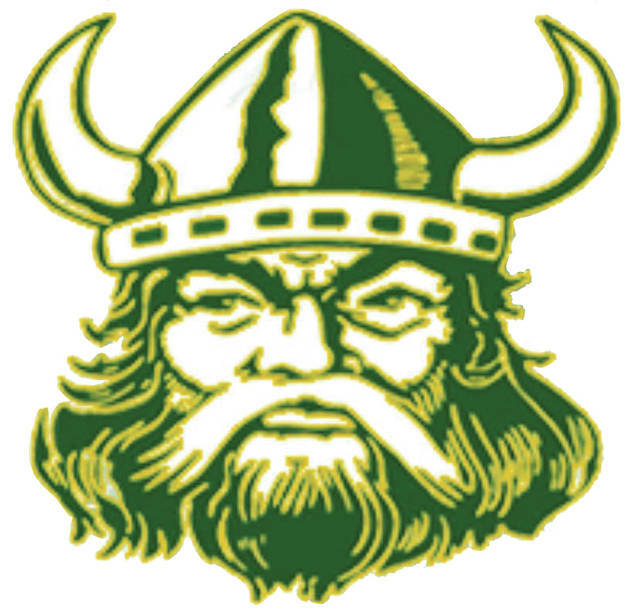 Evergreen coach Brian Nagy saw some of those traits as the Vikes took an early lead and extended it at the end in a 16-8 win over Holgate. “I think most importantly defensively we have been much better,” Nagy said. “Our middle infield has really started to shine and as a team we have only committed one error in three games which is a great improvement. “Hitting wise we are actually hitting the ball with authority which is also a huge progress from the spring. Evergreen jumped out early in the first when Mason Henricks was plunked by a pitch and Adam Baumgartner rammed a triple to deep right to bring home the first run. Sam Lubinski’s fly ball gave the VIkes a 2-0 lead. The Vikings extended their advantage in the second. Bryce Eisel was hit by a pitch, Zack Lumbrezer walked and Tanner Pollard floated a soft single over the first baseman to load the bases. A wild pitch, a fielders choice and David Carroll’s two-out single marked the three base runners and the Vikings led 5-0 after two. Lefty Tom Pollard blew through the Tigers lineup the first two frames but ran into trouble in the third. A pair of walks and two ground outs scored a pair. The consecutive two out hits from Gavyn Kuppersmith, Will Wenner, and Blake Hattemer brought in two more to chop the Evergreen lead to 5-4. Evergreen got the lead back to three in the fourth on a couple of Holgate errors and Carroll’s run scoring single, then tacked on two more in the fifth. Lumbrezer took one for the team, Nick Pelland singled, Henricks’ fly ball marked a run and Lubinski’s single scored another to make it 9-4. Eisel had an easy fourth on the mound in relief of Pollard but had trouble in the fifth created mostly by himself as he hit three Tiger batters around a couple of hits from Kuppersmith and Hattemer to score three Holgate runs to make it 9-7. That was the case in the sixth when Lubinski relieved Eisel and the Vikings first error of the ACME season put the leadoff hitter on. That’s when Baumgartner turned a groundball into the first-to-second line into a tag-em-out, throw-em-out double play. Evergreen then put the game away in the seventh as Henricks started the inning with a single and ended it with a two-run rap. In between Carroll, Brian Floyd and Eisel all had RBI hits as the Vikings padded their lead. The Vikes next play at Pettisville tonight.